Martha is a chef and cookbook author who is famous for her imaginative approach to food and her historical research into Mexican food traditions. Having written 8 cookbooks she is passionate about food that shows Mexico’s spirit and sense of identity. She recently opened her restaurant Ella Canta in London after the success of her restaurant in Mexico City which is regularly listed in Latin America’s top 50 restaurants. It really comes as no surprise that Martha is one of Mexico’s most famous celebrity chefs and has a starring role on Top Chef México, when she says such brilliant things as.. 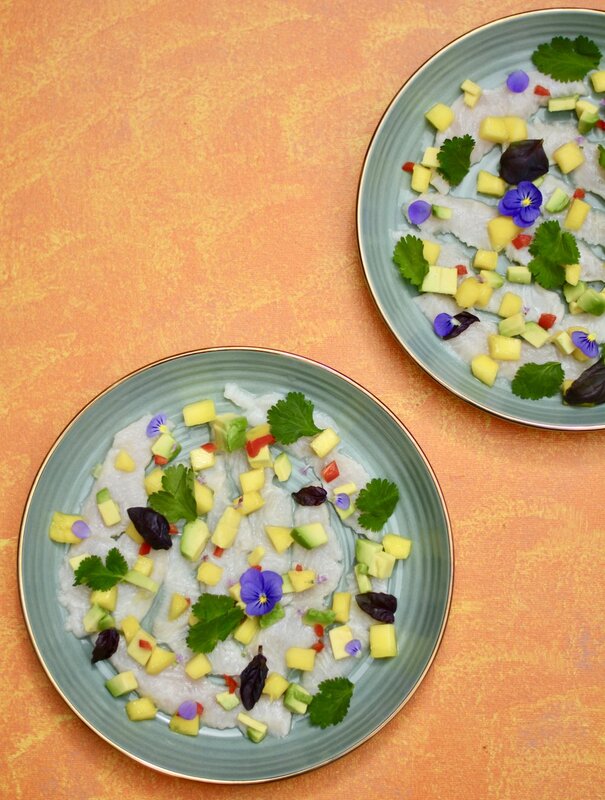 I've made a delicious ceviche recipe inspired by Martha this week and it's perfect for this mini heat wave we are experiencing in the UK. An added bonus is that you don't even need to turn on the oven!